One of the biggest disasters in the history of cloud computing is the Microsoft server failure. The american telephone operator T-mobile, Deutsche Telekom subsidiary, report the March 13 2009 that a huge part of personnal data (as contact, pictures, schedule) stored on Sidekick platform has been lost. Sidekick particularity is that all informations are not stored on the device, but on external server named “Danger”. Hosting data on decentralized server, nowadays more known as “Cloud Computing”, in theory enable clients to keep in storage their information in case of terminal device failure. 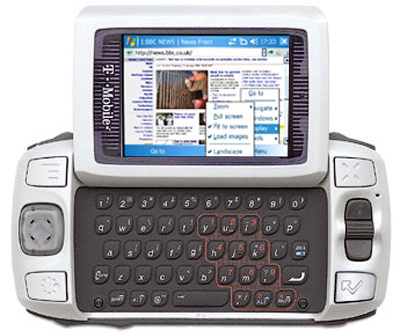 Regrettably, based on Microsoft/Danger’s latest recovery assessment of their systems, we must now inform you that personal information stored on your device – such as contacts, calendar entries, to-do lists or photos – that is no longer on your Sidekick almost certainly has been lost as a result of a server failure at Microsoft/Danger. That said, our teams continue to work around-the-clock in hopes of discovering some way to recover this information. However, the likelihood of a successful outcome is extremely low. Sidekick users instantly reacts, and there is lots of diffrent point of view. Some of them told that it was not a Cloud Failure, as James Governor on Twitter. As in 2006 Sidekick used Danger “Server”, in 2011 Windows Phones use the operating system “Microsoft Azure”. What the Sidekick incident should cause anyone who uses a cloud or web based service to sit up and pay attention.